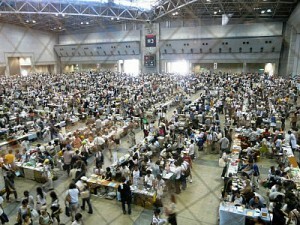 Comiket(コミケット)77 starts at the Tokyo Big Sight in Tokyo from 29 Dec and ends on the 31 Dec 2009. Comiket , or the Comic Market (コミックマーケット), is a handmade comic book fair, held twice a year in Tokyo. It started in 1975, features self-published magazines, manga, novels, games and music. 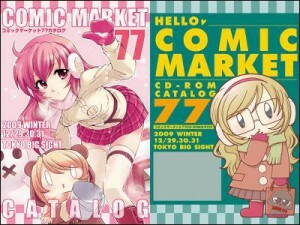 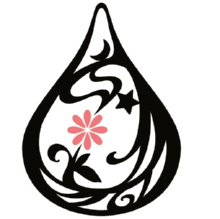 As items sold in Comiket are considered very rare, some items sold at Comiket can be found in shops or on the Internet at prices up to 10 times the item’s original price. 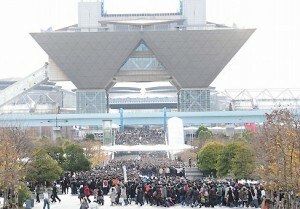 The world’s largest comic fair is expected to draw over 400,000 people to Tokyo Big Site.